With earnings from three of the four biggest banks in, one metric stands in sharp relief. Mortgage lending just keeps plunging. In the fourth quarter, mortgage originations at Citi were down 23% compared to a year ago. At Wells Fargo, they were 28% lower, and at JPMorgan Chase, they were down 30%. In other words, fewer people want to take out mortgages from us, and those who do aren’t as profitable for us. Banks spent the early years of the post-financial crisis recovery fleeing the mortgage market. 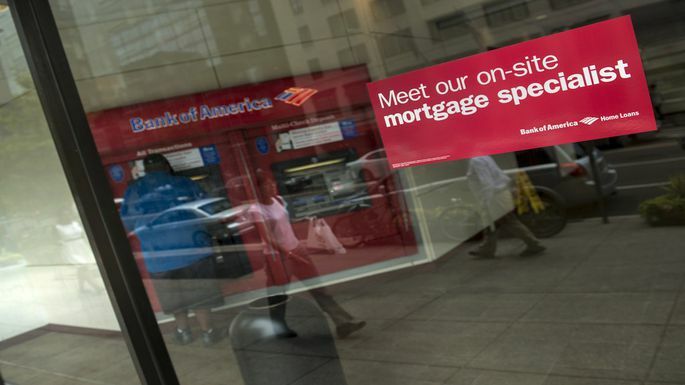 But more recently, it’s felt a little like the mortgage market is fleeing from banks. Mortgage lending is down, mostly because there aren’t enough houses for people to buy to sustain a healthy housing market – although rising rates aren’t helping either. Also thanks to those higher rates, the long refinance boom is over. Among those people who do find houses to buy or a reason to take out a different mortgage, more are using “non-banks” like Quicken Loans and LoanDepot than old-fashioned deposit-taking institutions. As of the end of last year, 59% of all mortgages were made by non-banks, according to Urban Institute data. That’s the “highly competitive environment” Lake was describing. But the strain is hitting all types of lenders; on the same day that JPMorgan announced earnings, mortgage lender Mr. announced it was cutting 109 employees. And it’s not going to be over any time soon. Projections for new mortgage loans, or originations, are at best flat in 2019. That also comes from the Urban Institute, which surveys three institutions for their origination forecasts. Among the three, only Freddie Mac expects originations to increase in 2019, and when estimates of declines from Fannie Mae and the Mortgage Bankers Association are factored in, the outlook is bleak. Dallas, Texas Housing Market Forecast: One of the ‘Hottest’ in 2019?